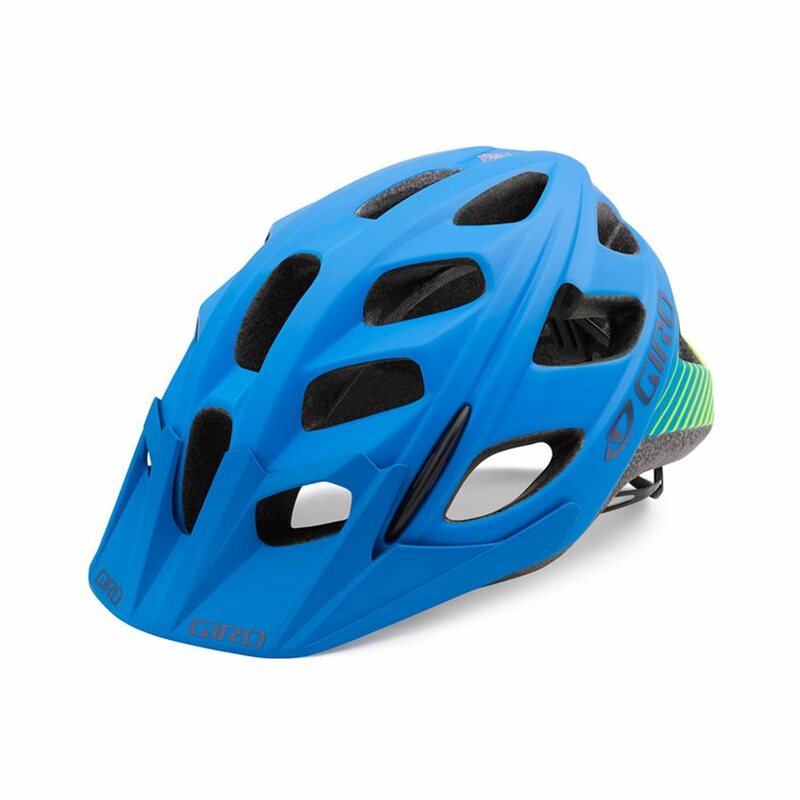 A great choice for price-conscious riders looking for a rugged all-mountain helmet with tons of premium features, the Giro Hex is loaded with features and looks sharp too. This brawny skull protector fuses muscular, progressive style with the versatility of a trail riding helmet. Not just a pretty shell, the Hex comes stocked with some of Giro's most prized features. 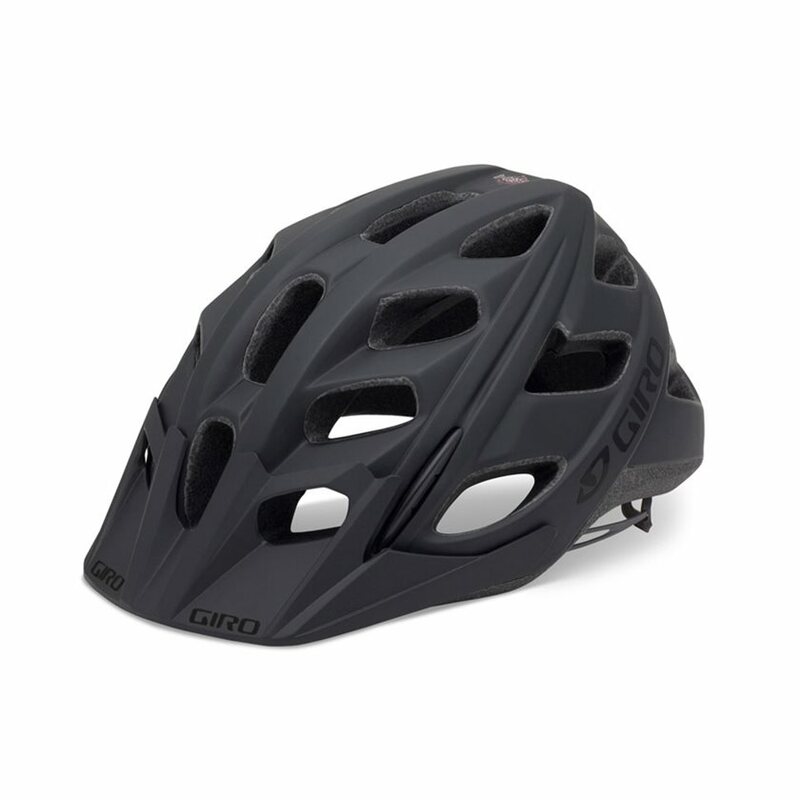 Giro's in-mold construction process fuses the helmet's outer shell with its impact-absorbing EPS liner during the molding process, making the liner literally a part of the helmet. This process reinforces areas around vents and ribs, creating a one-piece exoskeleton that allows the helmet to be lighter, more durable, and better ventilated than traditional designs. The proprietary Wind Tunnel ventilation system, combines active vents with internal exhaust channels that thrust cool, fresh air over and around the riders head-while forcing heat and stale air out. More ventilation means long lasting comfort for those epic rides. Whether you're climbing a winding strip of singletrack or descending down a rock littered mountainside, the HEX's many vents let your head breathe. Giro spent two years fine tuning the Roc Loc fit system to bring you Roc Loc 5, a groundbreaking fit system with an unmatched level of comfort, stability, adjustability, and weight savings. With Roc Loc 5, you can easily dial-in both fit tension and adjust vertical position with a single hand. Twist the ratcheting, micro-adjusting dial for a tighter fit on rough terrain, and back it off a bit to relax across the flats or up a warm climb. A three-position bracket allows for 15 millimeters of up/down movement for easy fine-tuning of vertical positions. Even with these impressive features, Roc Loc 5 is 40 percent lighter than its popular predecessor, Roc Loc 4. Giro's P.O.V visor puts the finishing touch on this already awesome helmet. The visor is anchored by a patented internal clutch mechanism and is capable of 15 degrees of tool-free, on-the-fly vertical adjustment. Nice helmet for the money. Fits well, good adjustability, breathes well. This is my second hex helmet. I don't waste my time trying to find other helmets that are less costing. Delivery was timely and helmet / packaging arrived in great shape. The orang color is bright but my riding parners like it because they can see me easily. Delivered in timely manner in good packaging. Overall this is a pretty good helmet. Time to deliver was decent enough. If I had to pay for shipping then how long it did take might have made me a little impatient. CONS: only one side of the chin strap is adjustable. 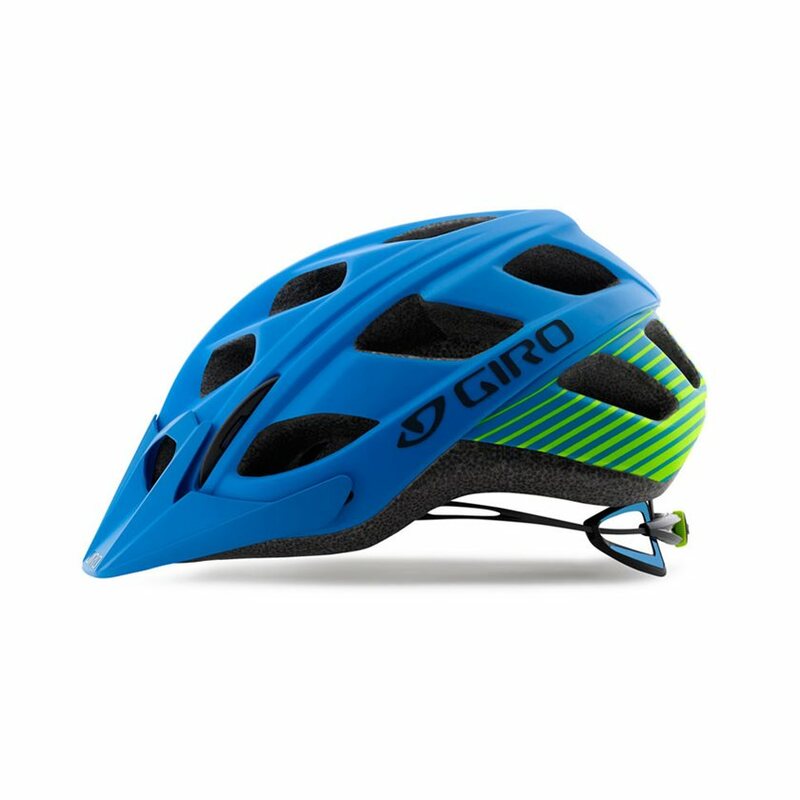 I purchased my second Giro Hex helmet (the first was an older design) in March 2016. The fit and function of the helmet out-of-the-box is fine, however this model is not durable. Mine is in the trash after only 15 months of ownership. Other MTB helmets I've owned have lasted 5+ years. The padding completely disintegrated after 6 months so I bought two sets of new padding. The fact that Giro makes the Hex padding available via online retailers is a clue to the durability problem. The 2nd set of padding was about shredded after another 6 months. Then last week the headband adjustment dial just snapped off. No crash or trauma -- just a little adjustment prior to a ride and suddenly I'm holding the broken dial in my hand. i just went out for my first ride with my new helmet. Purchased this as a replacement for my Giro Phase (which was simply too big). The Hex looks sharper, fits better, weighs less, and has better ventilation. Worth every penny. I chose this one because of the amount of vents and the style, but when I put it on I didn't like the way it sat on my head. It sat higher on my head and it sat more forward without covering the rear. It wasn't the look I was looking for. The construction seemed good and not too heavy. 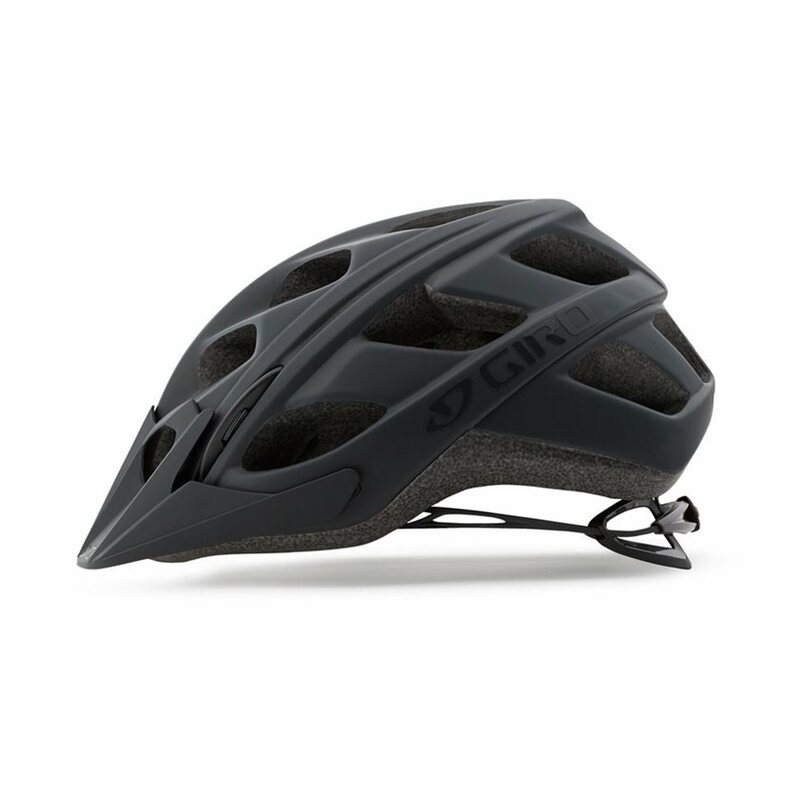 I would recommend this to someone who is not looking for the skater style helmet look.